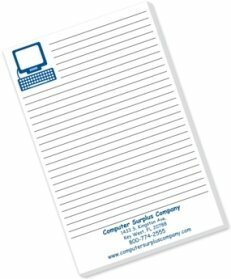 Promotional Items, Inc.™ invites you to shop for customized Notepads. 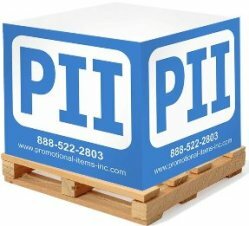 4CP Notepads, Sticky Note Pads, Cubes, Notepads on Wood Pallet printed with a logo. 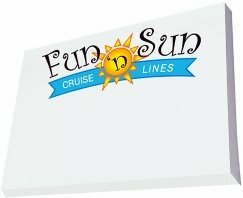 Promotional notepads are items used nearly daily for advertising & trade show giveaways. 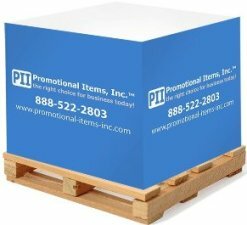 Shop 4CP Printed Notepads, Sticky Note Pads, Note Cubes, Notepads on Wood Pallet. Useful products that have high perceived value with your logo imprinted. Notepads, Custom Sticky Notes. Logos do require factory ready art. We can assist with logo art development for a nominal charge. Choose your Notepad, Sticky Notes, Notepad Wood Pallet from the pages below. There are many items on each page to select your particular desired size or style. Need order assistance or other promotional products? Call 1-888-522-2803. Sticky Note Cubes Wood Pallet Made USA. 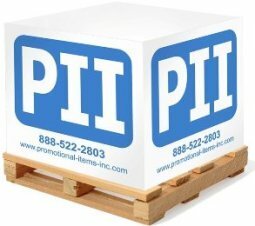 Sticky Note Cubes on Wood Pallet For Promotions. Made USA Notepad Cubes Imprinted Wood Pallet. 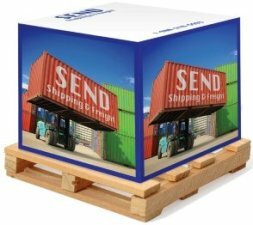 Non Adhesive Notepad Cubes For Company Advertising. 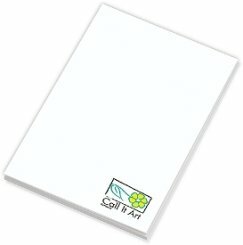 Notepads Printed in 4CP at cheap prices. Note Pads as promotional items. Bic Custom Note Pads For Giveaways. Bic Sticky Notes at cheap prices for promotions. Bic Custom Sticky Notes For Advertising. Post it Notes for promotional giveaways. 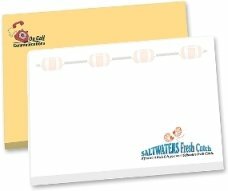 Custom Post It Note Pads For Your Marketing.